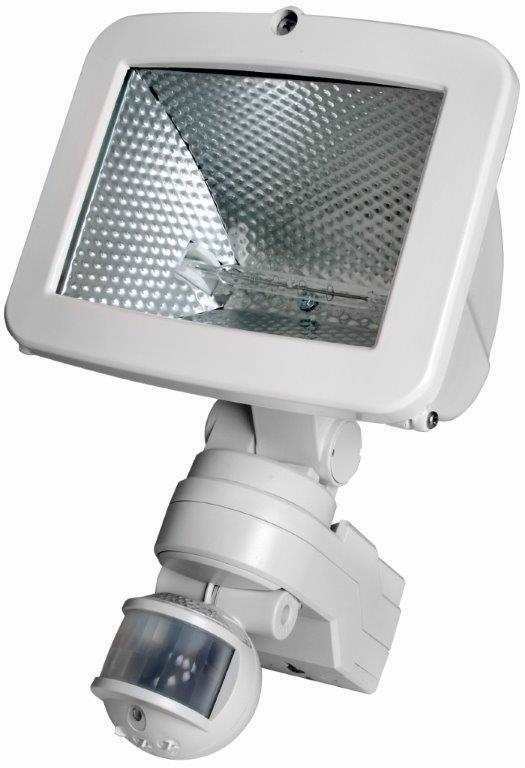 Powerful 500W enclosed halogen floodlight with adjustable (pan & tilt) PIR detector and floodlight. Adjustable 12m detection range with 200 degree area of detection. Scrolling LED "System Live" status acts as advance deterrent. Light ON times adjustable from 5 seconds to 18 minutes. Optional holiday mode allows light ON time setting between 1 & 8 hours. Direct mount bracketless fixing - Contractor quick fit aid supplied. Total PIR switching: 3000W incandescent/ halogen 375W fluorescent/low energy lighting.